The Nuclear AMRC will play a key role in the first of the UK’s new network of Technology Innovation Centres. Business Secretary Vince Cable MP and Deputy Prime Minister Nick Clegg MP announced details of the new centre before a visit to the University of Sheffield AMRC with Boeing. Vince Cable MP said: “The Technology Innovation Centre will help to equip UK industry with the ability to capitalise on the future global market opportunities by drawing on leading edge research and will form a key part of the Government’s work to rebalance the UK economy and create new high-value private sector jobs. The AMRC and Nuclear AMRC will jointly operate the High Value Manufacturing TIC as part of a consortium of seven established manufacturing and process research centres. The TIC funding allows the seven centres to build on their established success and expertise, and to create a national network capable of addressing all manufacturing issues. The bulk of the new money will be invested in new facilities, to expand current operations in response to industry needs and create research programmes in new technology areas. Over 10 years, the centre is expected to lead to some £2 billion of additional manufacturing R&D in the UK, and the creation of 3000 new research engineer jobs across the seven centres. Professor Keith Ridgway OBE, Research Director at the AMRC with Boeing and Programme Director at the Nuclear AMRC, said: “We are delighted that the government is backing high value manufacturing. The High Value Manufacturing TIC will be a national focus for advanced manufacturing research and development, with the scale and readiness to make an early and significant contribution to UK economic growth. The consortium members are based at eight of the UK’s leading universities for engineering and physical sciences. The individual centres are already established as global centres of excellence in a wide range of manufacturing processes, including: machining; forging; composites; high-integrity joining; intelligent automation; assembly; and chemicals processing. These processes are used in a variety of high-value industries, including: aerospace; automotive; low-carbon energy; oil and gas; biotechnology; and electronics. The TIC status will help the individual centres to work closely together to bring their skills and resources to bear on these complex industrial challenges. The new TICs are intended to bridge the gap between innovation and commercial success. Universities and industry will work together to develop new technologies and practical knowledge, and put them to work within British companies to help them compete worldwide. The value of collaborative research is increasingly recognised by industry. The consortium’s bid for the High Value Manufacturing TIC was endorsed by over 50 major industrial manufacturers and 54 SMEs. The geographic spread of centres, from Bristol to Glasgow, will help the TIC support businesses nationwide. This will be particularly value for SMEs and lower-level skills development. The TIC will develop programmes tailored to the needs of SMEs to help them access cutting-edge technologies and increase their capabilities and competitiveness. The TIC status will also help attract inward investment into high-value manufacturing clusters around each centre. The AMRC and Nuclear AMRC are both based on the Advanced Manufacturing Park in South Yorkshire, a dedicated hub for high-value industry. The TIC will help support sustainable growth and the move to a low-carbon economy by both reducing the use of material and energy during production; and enabling the development of low-carbon and fuel-efficient transport and energy generation technologies. The Government has committed to invest over £200 million over the next four years in a network of around six TICs focusing on different areas of technology. The first phase of the TIC programme includes investment in existing centres, but later phases will focus on establishing new centres. Rolls-Royce has signed a strategic partnership with Areva to supply key components for the French group’s EPR reactor. The Nuclear AMRC welcomed the partnership as good news for the UK civil nuclear supply chain. Both Areva and Rolls-Royce are founding members of the Nuclear AMRC. The Nuclear AMRC is also pleased to announce that it has signed a Memorandum of Understanding with reactor provider Areva to help identify UK companies which can potentially join Areva’s global supply chain. Under the new partnership, the two companies will work together to deliver projects for Areva’s EPR reactor design. 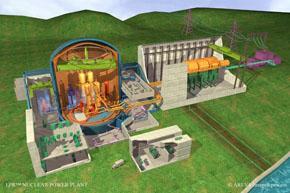 The agreement includes the first new reactors in the UK nuclear new build programme. EDF Energy and Centrica are planning to build four EPR reactors at Hinkley Point, Somerset and Sizewell, Suffolk, with the first operational by 2018. Areva is also in discussions with the UK’s other new-build developers, Horizon Nuclear Power and NuGeneration. Both groups will choose between the EPR and Westinghouse’s competing AP1000 after the completion of the UK government’s generic design assessment (GDA), due this summer. Sir John Rose, Rolls-Royce chief executive, said: “We have an excellent relationship with Areva, which is reflected in this important agreement. With 50 years’ nuclear experience and an extensive nuclear supply chain, we can bring our significant expertise to bear for the benefit of the nuclear new build programme. In a separate development, Areva has signed a new collaborative agreement with the Nuclear AMRC to identify and support UK manufacturing companies which can supply Areva’s projects in the UK and overseas. The Nuclear AMRC will act as an entry way for companies which do not have an existing relationship with Areva, but which have the potential to become nuclear-capable and provide products within Areva’s scope of supply. Initial identification of potential suppliers will be carried out through the Nuclear AMRC’s new Fit For Nuclear (F4N) programme. 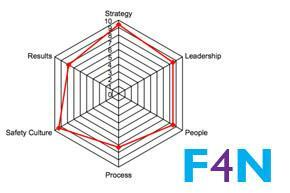 F4N is based around a questionnaire covering key areas of business operation and performance. The results tell a company whether it has the potential to supply the nuclear industry, and what measures it needs to take to meet the industry’s requirements. The Nuclear AMRC will then support these companies in developing their capabilities to meet Areva’s requirements. The Nuclear AMRC supports manufacturers in three key areas: manufacturing process R&D; quality and accreditation; and training and skills development. Is your company fit for nuclear? The Nuclear AMRC is launching a new diagnostic tool to test whether manufacturing companies are ready to enter the nuclear supply chain. The Fit For Nuclear (F4N) programme helps companies measure their current operations against the standards required to supply the UK’s new generation of nuclear power stations, and take the necessary steps to enter this £40 billion market. The initial assessment is based around a questionnaire covering key areas of business operation and performance. The results help identify any gaps that the company can address. The Nuclear AMRC and its partners can help fill help fill these gaps through a tailored Fitness Programme, addressing areas such as technology capabilities; quality and accreditation; health and safety; and skills. The F4N assessment is free to UK manufacturing companies. Companies which could benefit from the specialist support of the Nuclear AMRC will be invited to join one-to-one sessions to address the company’s specific needs. Companies which need more work will be referred to other organisations which can provide more fundamental business support. For a detailed introduction to the plans for UK nuclear new-build and current manufacturing capabilities, please see our Industry intelligence pages.